Between Dumaine St. & St. Philip St. In addition to metered street parking, there are three nearby public lots and many nearby hotel lots. The three public lots are operated by Standard Parking. Call 504-599-5658 for daily rates. French Market Parking: Located along the river behind the levee wall. The lot has only one entrance, at St. Peter and Decatur Streets, near Jax Brewery. Cafe Amelie is accessible by the RTA’s redline streetcars that run along the river; the nearest stop is Dumaine Street, then Cafe Amelie is a short 4-block walk from the river. We do not offer any live entertainment. 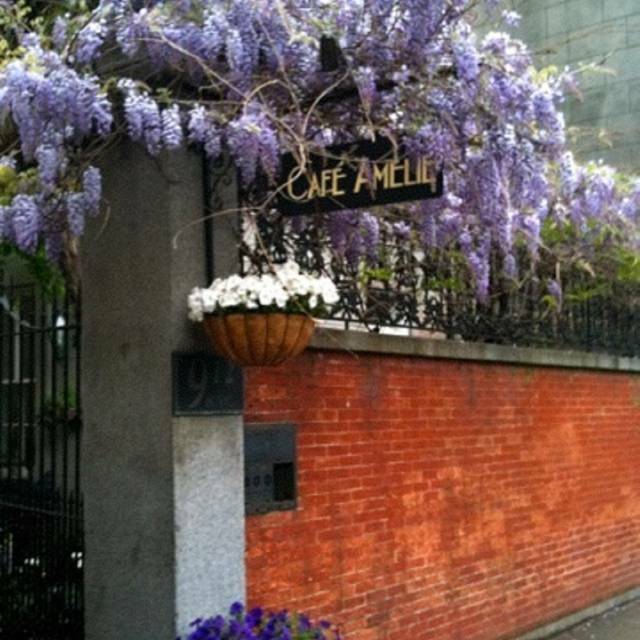 Please visit www.cafeamelie.com for specific information on hosting a special event. The Cafe is occasionally available for off-site catering. Please contact for details. Our space can accommodate groups up to 22 guests for a semi-private courtyard (outdoors) event or carriage house (indoors) event. Assume that the weather will be spectacular, but in case not, you'll be guaranteed a table in our indoor dining space. 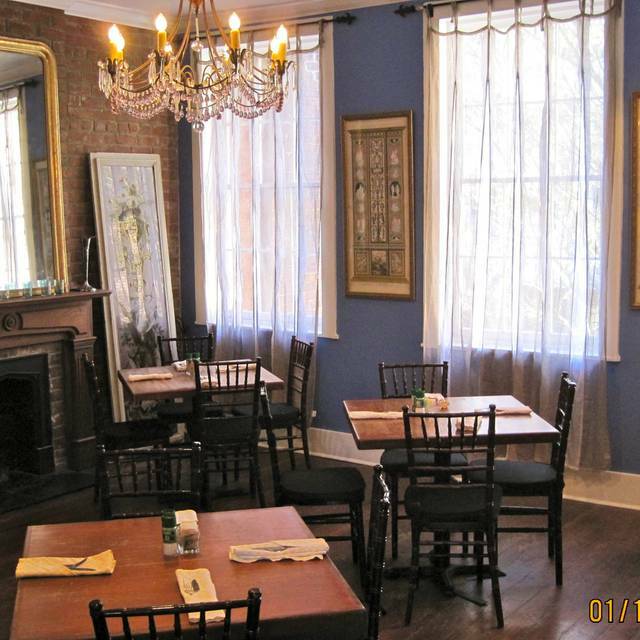 Please visit www.cafeamelie.com for specific information on hosting a private event. Please note that the courtyard is seated on a first come, first serve basis. A reservation does not guarantee seating in the courtyard but we will have a table available inside our beautiful, historic carriage house. Keep in mind during rainy/cold days we may utilize our upstairs Blue Room. There is no elevator access. If you have a preference, let us know when making your reservation. We will hold your reservation for 15 minutes past your scheduled reservation time, after 15 minutes we will seat you at the next available time. We ate outside and had a great time. The ambience is absolutely wonderful. Food was really good and service was very friendly. 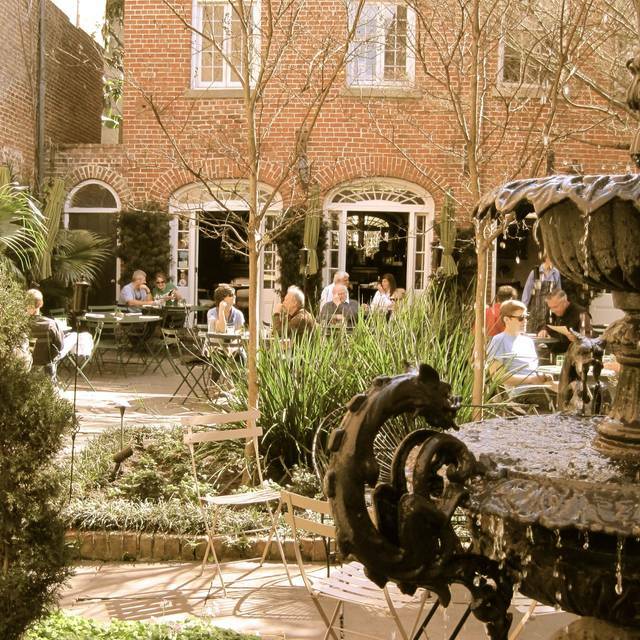 If you are seeking a place with character and charm, Cafe Amelie delivers, with a wonderful courtyard and outdoor dining (along with limited but nice dining inside as well). The staff was pleasant, and service was good. However, this was our final dinner of 3 nights in NOLA, and we were disappointed in the food. I had the salmon with horseradish sauce. The salmon was way overcooked, and dry, and the horseradish sauce overpowered any taste (albeit dry) of the salmon. My husband had a pasta special, which he thought was good. The manager did come to our table after our meal (as he did to all tables), and when we mentioned that the place was wonderful, but the salmon was disappointing, he was quick to take the salmon of our bill (which is not what we were shooting for, but a nice gesture). 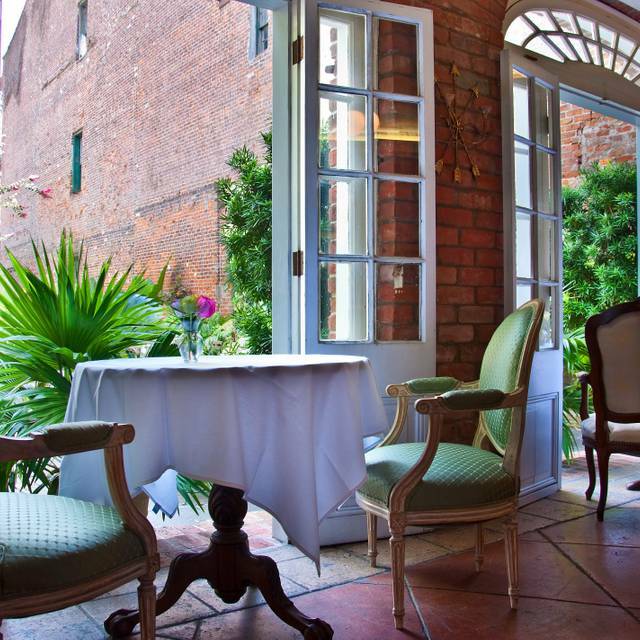 All in all, we would go back for the beautiful courtyard area, and try something different on the menu. 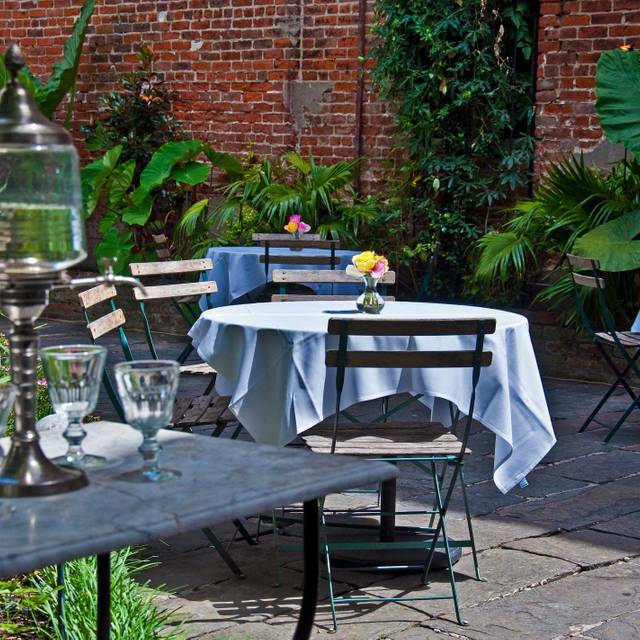 A great outdoor place in the French Quarter. We'll be back. One of the most romantic restaurants we’ve ever been to. A gem. The hostess, waitress and staff were very good. The ambience while sitting outside in the patio was really nice. The gulf oysters and gumbo as appetizers were amazing however, the jambalaya pasta was lacking flavor and just okay at $27.00. Also, we shared the fostered banana waffles which was very tasty. Overall, a good experience and happy that we had a delightful outdoor brunch at Café Amelie. The food and ambiance were both very good. We would recommend and will return the next time we find ourselves in New Orleans. 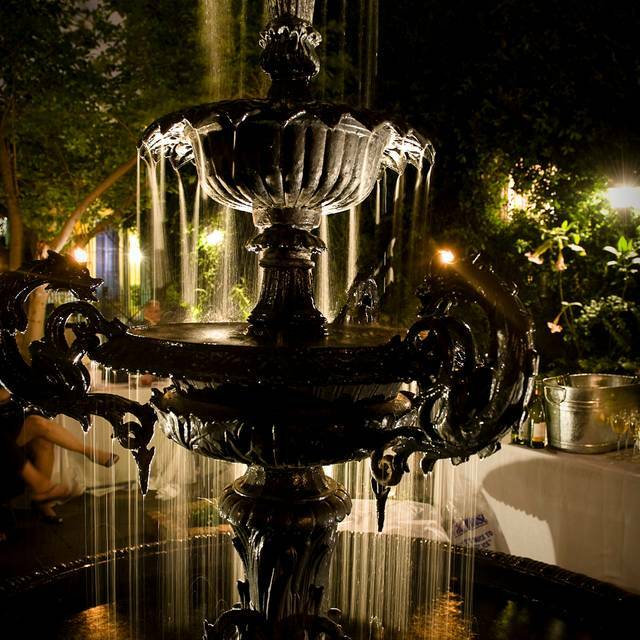 Perfect restaurant— terrific food, service and beautiful courtyard atmosphere! Don’t eat the salmon. I got sick all week from it. The reservations were made online and we were in town during FQfestival, so we were not surprised that the only open time was 9:30pm, how ever if the staff is going to be aloof and at the same time rushing us out they should not accept reservations that late. even if they wanted to close early, if a table opened up they could have called and seated us sooner. Great experience. Came here for our anniversary and it was fabulous. The food was great, ambience very special, service quite good. Very enjoyable. The food and service were excellent. The noise level was very loud due to several boisterous tables, but it did impact our experience. Evening dinner in the courtyard was so lovely and enchanting. Our meals were good but the ambiance is what we were after. Thank you for a special night out in your courtyard! We loved our meal. The beet with goat cheese and the Amelie salad were both excellent starters. The brussel sprouts (have them cooked well so they’re a little softer) were delicious! The salmon was terrific. End with a berry cobbler and you’ll be very happy. Oh, our server, Emily, was friendly, attentive and made our experience memorable. Every single element of our dinner experience was delightful. The ambience outdoors with the soft lighting and beautiful garden was so inviting and pleasant. All of the food was so interesting that instead of making choices we ordered almost everything (figuratively speaking) and ended up taking home a substantial amount of food which was still amazing the day after. I visit cafe Amelie again and again and am never disappointed in any way. Sat outside in beautiful weather for dinner and it was extra ordinary. Food was well prepared and we managed to have two appetizers and shared one Entree. Just perfect amounts. Drinks reasonably priced and waitstaff knowledgeable and friendly. I have been here for lunch a few times over the years and this was a first dinner. It's on our top 5 French Q restaurants list. My husband and I had a lovely time at Cafe Amelie. We were seated in the courtyard which has a very romantic and intimate vibe to it. Our server was quite friendly and the food was excellent. We have had lunch and/or dinner each time we have visited New Orleans. We have always enjoyed the food ans ambiance. We have brought guests to Cafe Amelie and they have always spoken highly of their experience. This yeas, we had both most enjoyable dinner and lunch reservations. We will return in following years. Sublime dinner under the moon. jambalaya dish was perfect. service excellent. cherry bread pudding-so good! This is our absolute favorite restaurant in the city! And we have tried many! You cannot beat a Parisian atmosphere paired with the best food. Highly recommend! Nice relaxed patio dining, sitting in the shade under large trees. Wonderful tasty dishes but not over done. 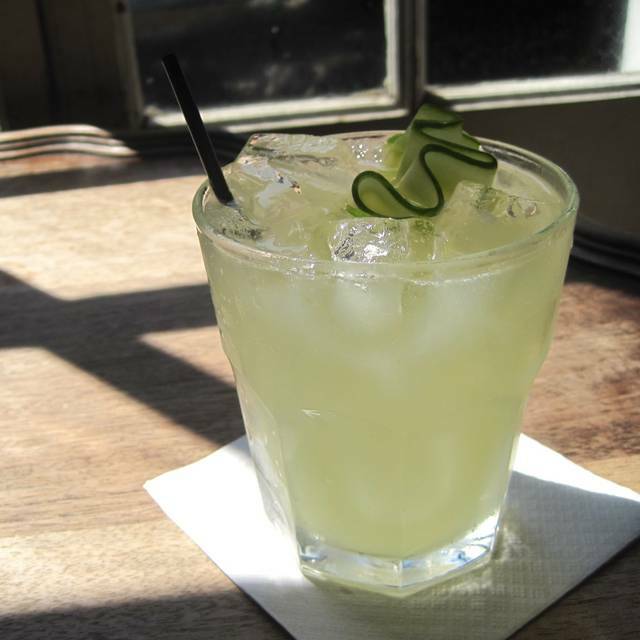 Cafe Amelie is what one would expect from a restaurant in the French Quarter. The ambiance is distinctly old world European which results in dining at Cafe Amelie being an enjoyable experience as well as excellent dining. I began using Cafe Amelie shortly after their opening and was thrilled with the experience, thereafter whether dining alone or with friends Cafe Amelie is always on the top of my list for dining. Recently I had some friends join me for dinner at Cafe Amelie, some of them were from out of town and some were locals and both were very pleased with the experience. 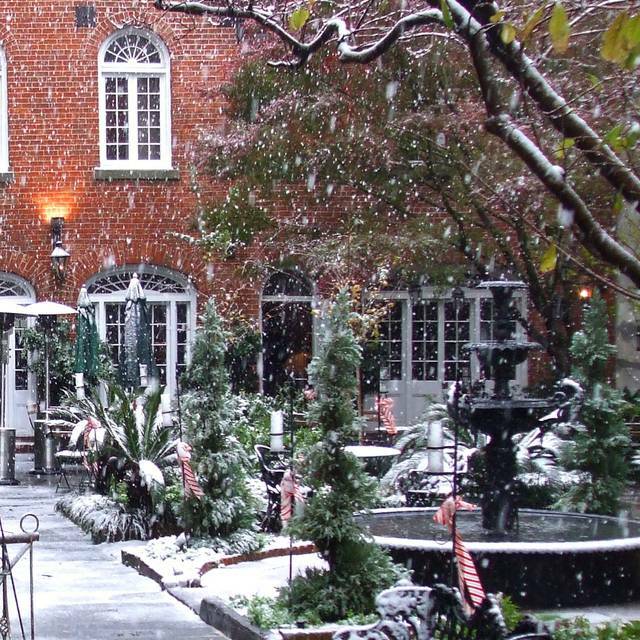 I recommend Cafe Amelie to everyone looking to enjoy a dining experience in the French Quarter. The food was amazing and The outdoor seating area is beautiful! Only downside was we did feel a little rushed to pay and leave once we were done eating. Café Amelie was a delightful dining spot! We were in town for a girls trip and had one of our favorite dining experiences here! The staff was friendly and helpful and the food was amazing!! Definitely will come back! Outdoor seating in the courtyard is the best. Enjoyed the catfish and excellent service. Thanks for a wonderful and memorable evening. Excellent food and vegetarian options! Wonderful place! We were lucky enough to sit in the courtyard at night. Very special NOLA experience, our favorite meal of our visit! The outside dining is very pretty. The food was okay - had the salmon and my daughter had the tuna. The food and atmosphere was absolutely amazing! We will definitely be returning next time we’re in town. Wonderful food and a great experience! The shrimp and grits were the best! We've been here many times, the food and service are always excellent. It was nice to be in the courtyard this time, very romantic. This is only our second time to dine at Amelie's, and it was just as good as we remembered. Our group of 6 all had different entrees, and we shared 4 apps. Everything was very good from the apps to the craft cocktails! The wine list was reasonably priced, and our server knowledgeable. 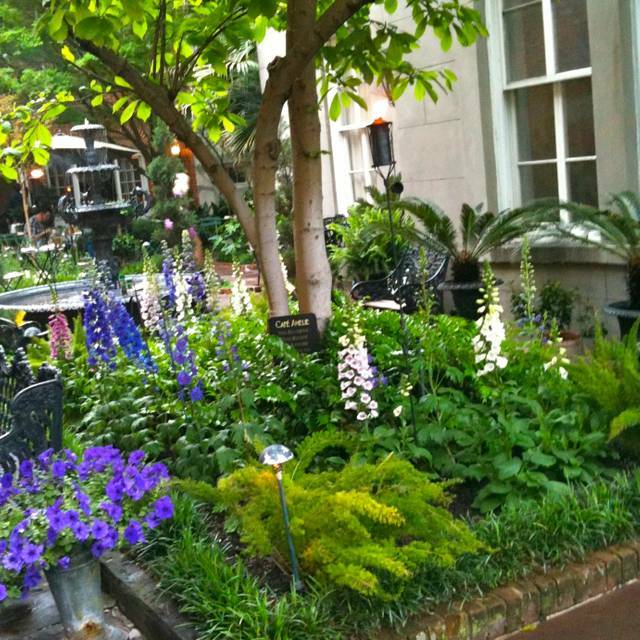 Beautiful evening to dine in the courtyard. Thanks Amelie for a memorable evening! For the Beet and Goat Cheese salad alone I would recommend this place! It was my 2nd time and I am already looking forward to my 3rd visit. Great food, great prices, great service, great location, great outdoor ambiance....but...horrible chairs. Hate them in Bryant Park NYC and hate them here. Very wobbly and uncomfortable. We were very disappointed with our dining experience. We could not hear each other across the table due to the fact that there was little to no acoustical buffering of sound and we were forced to listen to the din created by the other patrons. I most object to the attire of the wait staff. I am find with casual but have the table bused by a person in a hoodie is ridiculous. The attire of other members of the staff was equally sloppy/poor. The meal itself was fine but a bit overpriced.,..especially when you consider my remarks above.